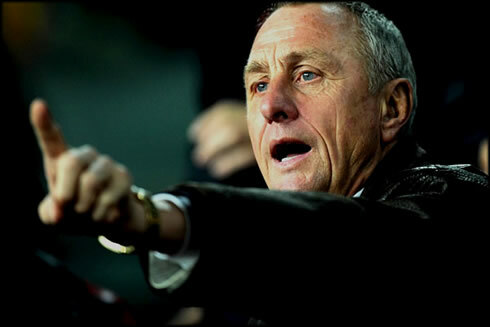 ﻿ Johan Cruyff: "I wouldn't want Cristiano Ronaldo in Barcelona"
19.12.2011» Johan Cruyff: "I wouldn't want Cristiano Ronaldo in Barcelona"
Johan Cruyff remains defending Barcelona's interests with sharp claws and after the Blaugrana's 4-0 victory over Santos, in the FIFA Club World Cup, the former Dutch player couldn't help to leave a few negative remarks about Cristiano Ronaldo and José Mourinho. 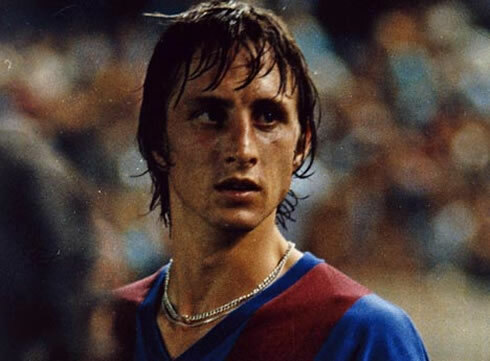 The former Dutch legendary player, Johan Cruyff, is still one of the most emblematic figures from Barcelona, but he is also known for holding a special grudge against Real Madrid. Everytime Cruyff talks to the press, he simply can't help to shout a few negative remarks about the Merengues and Cristiano Ronaldo and this week, he chose the perfect opportunistic timing, as he waited for Barcelona to lift the FIFA Club World Cup trophy, after beating Santos in the final by 4-0. 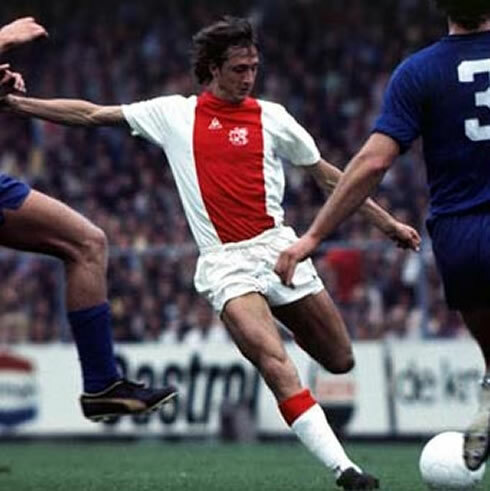 Cruyff had a distinguished career during the 60's and the 70's, specially by playing for Ajax between 1964 and 1973, where he had 240 appearances and scored 190 goals, but also in Barcelona between 1973 and 1978, with a total of 143 games and 48 goals. Talking to a Spanish TV show from Barcelona called "Esport3", the Dutchman started by showing how delighted he was with the new trophy his club had just conquered. Johan Cruyff: "This was a memorable day, because for the first time in History, someone managed to really dominate the Brazilian! ", outlined the Dutchman still very excited and before adding. "Playing with only 3 defenders will always depend of how good the players are, but it also has to do with how brave someone can be. Without Pep Guardiola, it would be very hard to play in this system." Cruyff: "It's crucial that these players remain willing and available to sacrifice for the team, never losing this winning mentality. Combining this to their quality, skills and the ability to pressure is determinant for the team's success. Guardiola is doing a terrific job and it's important that everyone enjoy the moment now", pointed out the retired Dutch player. Regarding the most anticipated clash between Lionel Messi and Neymar during the FIFA Club World Cup final, Cruyff recognized that it hasn't been a fair "fight"/duel. 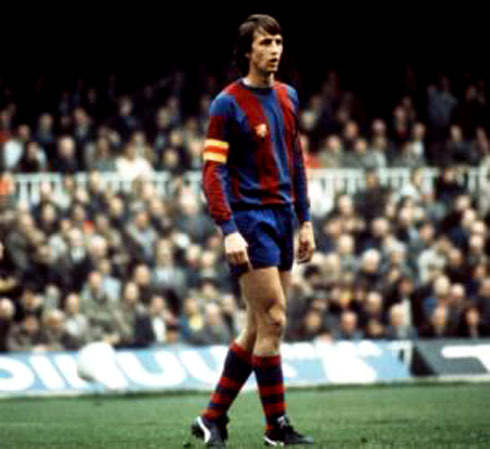 Cruyff: "It's not fair because Barcelona and Santos played very differently in this game. Neymar is still very young and he's certainly a great player, who seems to be thinking the proper way. However, Messi is unreachable right now, since he is clearly on the top." It was then time for Cruyff to begin talking about Real Madrid, but always referring to Barcelona as some sort of divine team who can't be challenged. Cruyff: "Real Madrid has a great team, but they also have an enormous necessity and anxiety to win. They are unlucky for being in the same domestic league as Barcelona, because they would be first in any other league", said the Dutchman, probably forgetting that Real Madrid are actually first in La Liga right now and that Barcelona is 3 points down below the Merengues in the standings. Regarding José Mourinho and Cristiano Ronaldo, Cruyff didn't even attempt to hide his annoyance for a few aspects related to the Portuguese duo. 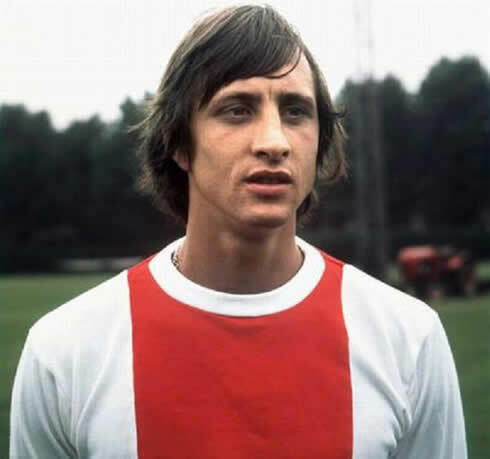 Cruyff: "Mourinho is an unusual coach, who keeps looking for glory individually, unlike Guardiola, who for example, always give all the merits to the players. That's the difference in my opinion, as it is a matter of attitude. 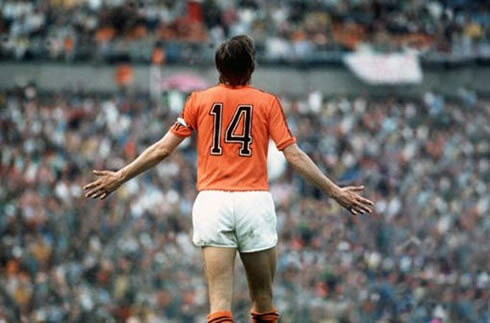 One of the reasons for that to happen could be the fact that José Mourinho only has experience as a football coach, since he has never been a professional football player", noted Hendrik Johannes Cruijff, widely known as simply Johan Cruyff. 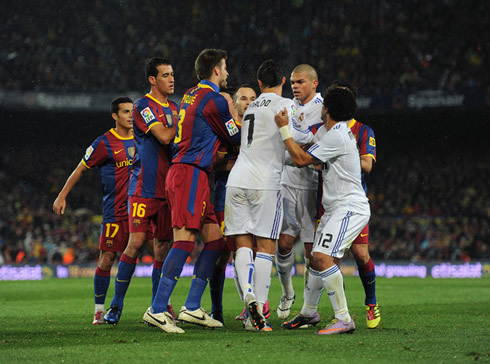 He then aimed at Real Madrid star, Cristiano Ronaldo. Cruyff: "I wouldn't want Cristiano Ronaldo in Barcelona. We play a different type of football and Cristiano is always trying to show how good he is. In Barcelona everyone just focus in playing, which leads to someone ending up by scoring and it doesn't matter who. Messi is the best and he's also humble, which is very important to set an example for the young kids out there and we could say the same about Xavi and Iniesta. Due to the show and entertainment that Messi delivers on the field I would give him the FIFA Balon d'Or, but as the orchestra director, it should be granted to Xavi", commented Cruyff, who unsurprisingly revealed his preference for two Barça players when it comes to pick a favorite for the FIFA Balon d'Or, which will be delivered in January 9, 2012. The final three nominees are Barcelona's Lionel Messi and Xavi and Real Madrid's Cristiano Ronaldo. Real Madrid will now play against Ponferradina next Tuesday, for the second leg of the Copa del Rey. You can watch Juventus live stream, Real Madrid vs Ponferradina on Tuesday, as well as Barcelona vs Hospitalet on Thursday, both games for the Copa del Rey, in our Live section. This Wednesday, you may also follow Fulham vs Manchester United for the English Premier League. All these games are available from our soccer live streams section.